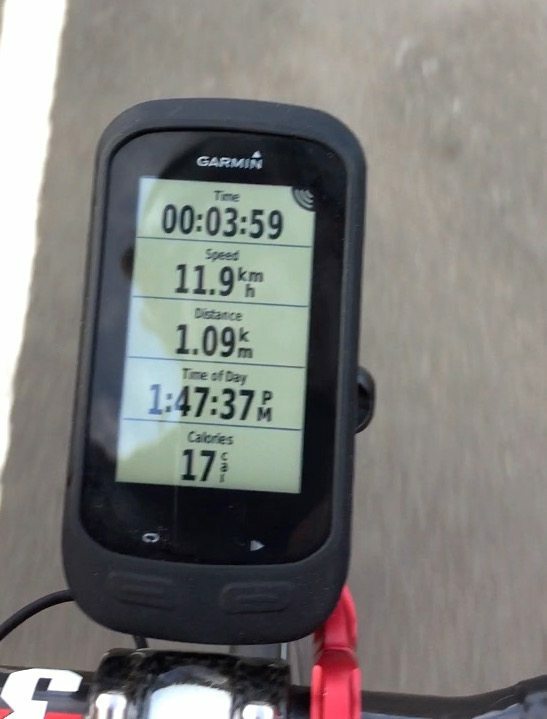 The Garmin Varia started life as the “BackTracker” Kickstarter project, which regrettably didn’t hit its campaign goal, getting only 65% of the way to their target. 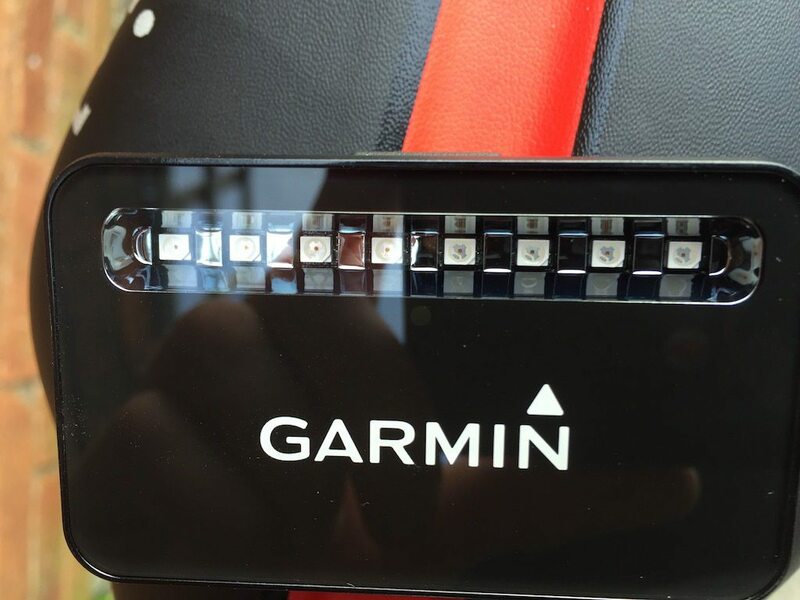 However, Garmin was very interested in the device in the latter half of 2014 and bought the whole lot. Frankly, a lot of people thought that was likely to be the end. 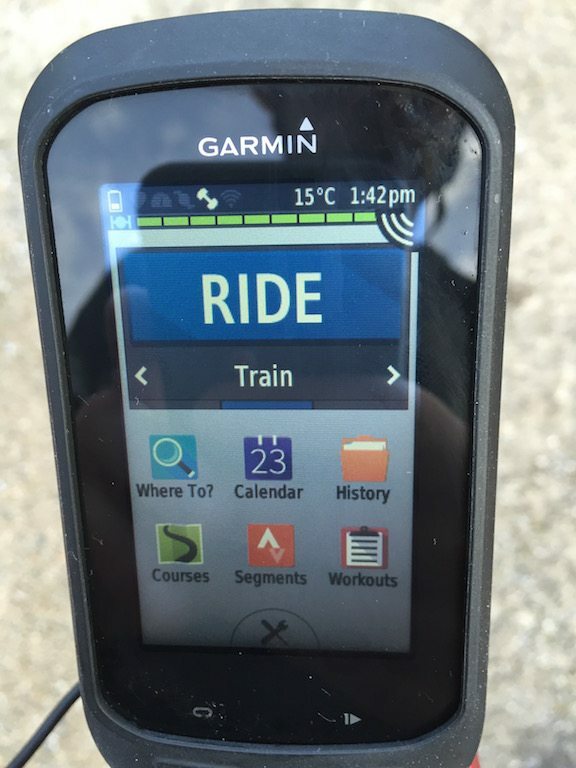 Something for Garmin to kick around their R&D offices, and possibly stick on a boat or something like that. 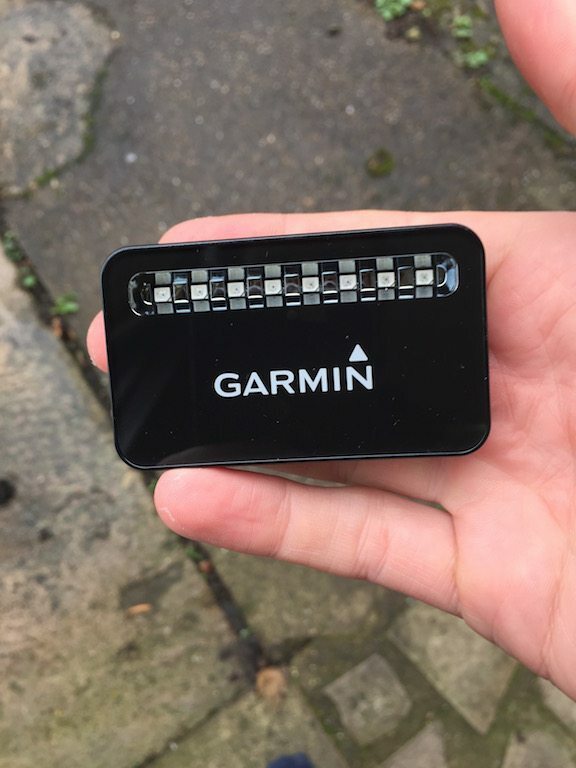 Then in July 2015, Garmin released the Backtracker device under the Garmin Varia brand, looking like a refined, smaller version of the original device. 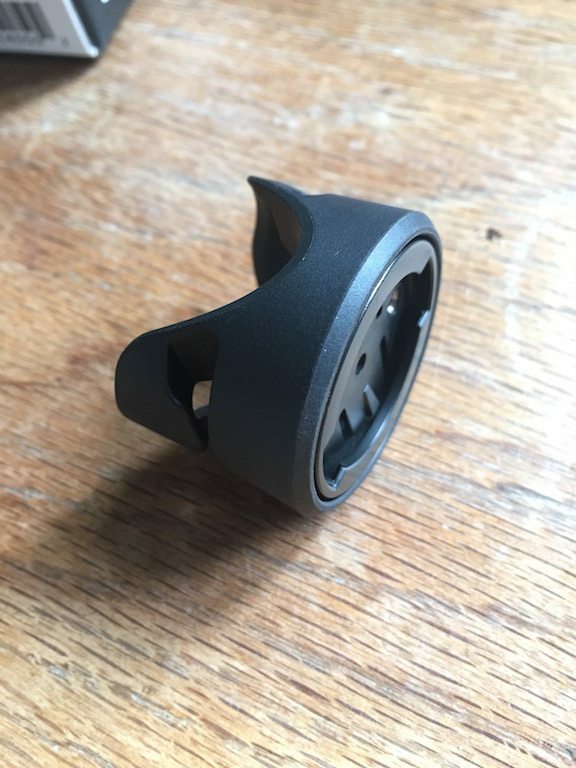 There are a series of rubber inserts for the aero mount to get it to sit flush with your post. 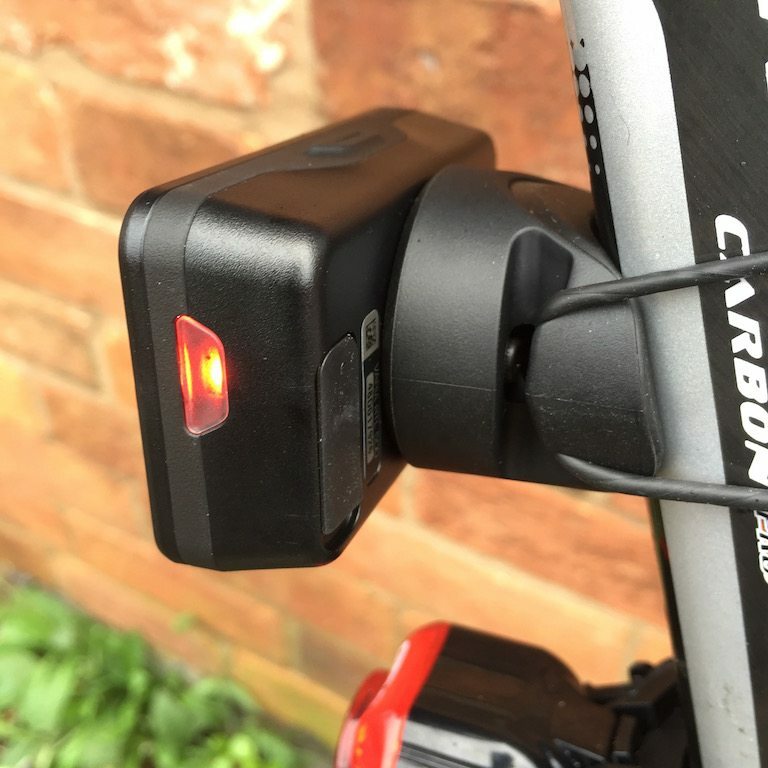 The actual LED array on the Varia has a rating of 16 lumens, putting the unit firmly in the safety light category rather than anything brighter. So you are certainly going to need an additional light to be seen with. 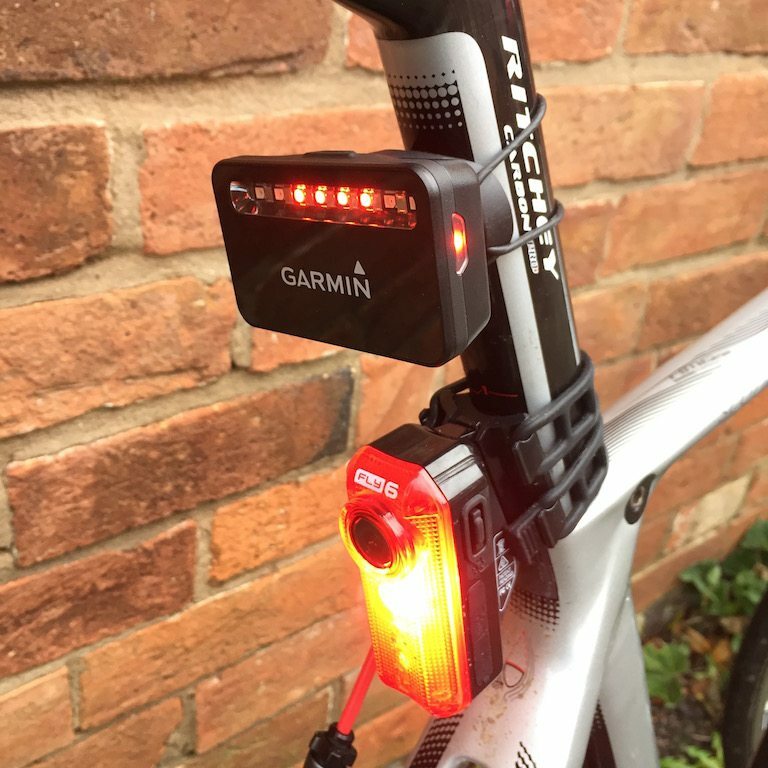 I always ride with my Fly6 as a rear light which covers me from the point of view of a more substantial rear facing light. 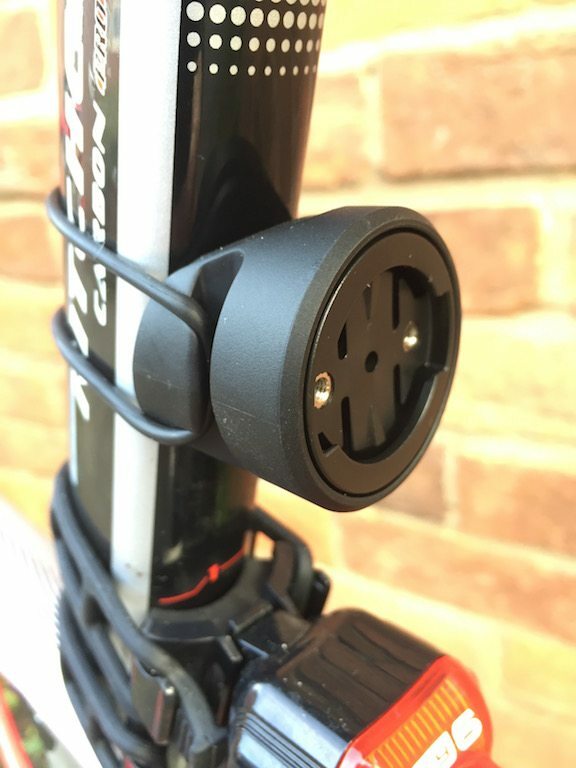 I don’t think the low lumen output matters as I actually view its lights as a bonus feature. I’m using the Varia, so I can see what’s coming up behind me. 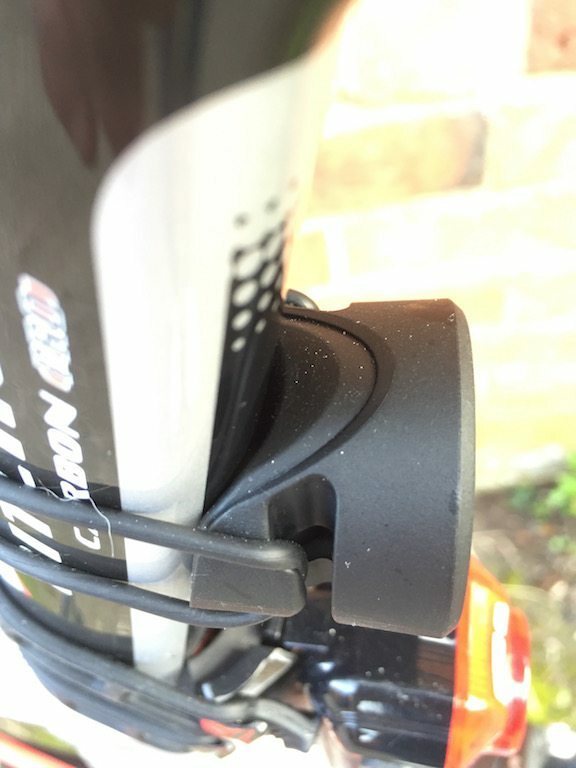 This device is for my benefit, not really that of the other road users. Crucially the system is entirely unfazed by parked cars or people. You can cycle down busy streets, and its only triggered cars and larger objects moving towards you. Which is essentially how the radar system should work. 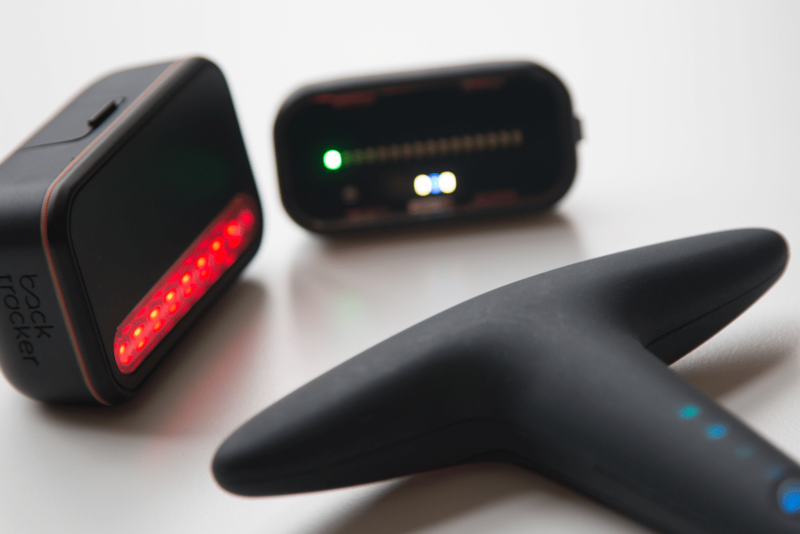 The radar works by a speed differentiation, so here the software is set only to pick up objects moving towards you. 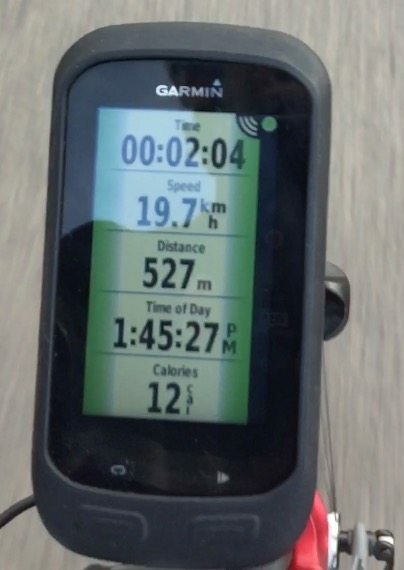 That includes riding with friends, so far it hasn’t been phased when I was caught by a group of 20 or so riders. What USE is the Varia though? I’ve had several people ask me that while testing. I think it depends on where you are riding. 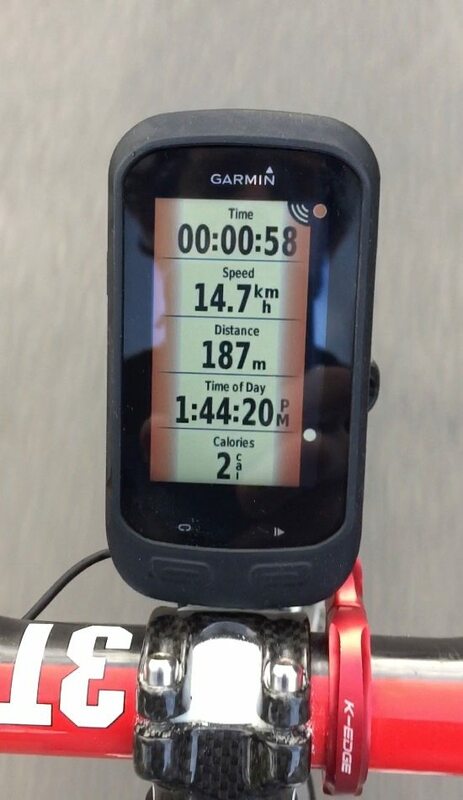 In the middle of town, if I cycle to the hospital, honestly its a pain in the neck – *beep* car, *beep* car – constantly. I’m in town; there are cars everywhere, I get it!! 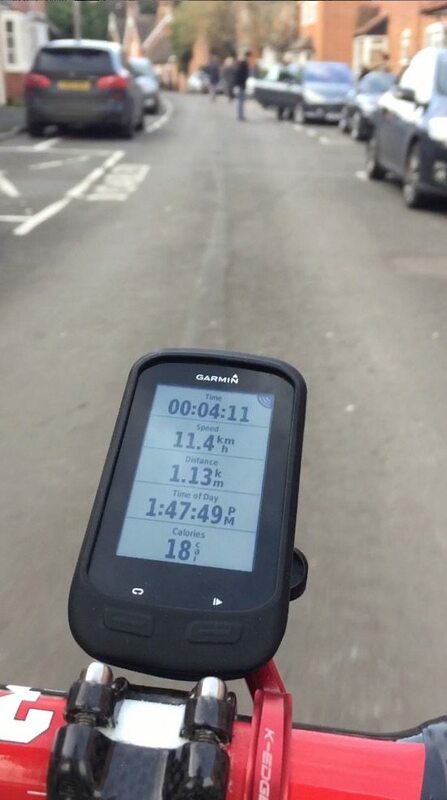 Where I found it REALLY useful is cycling down the main roads into town. Pushing along at 35-40KPH I can’t hear anything until it gets close to me, and the car is speeding, it can sometimes appear very suddenly. 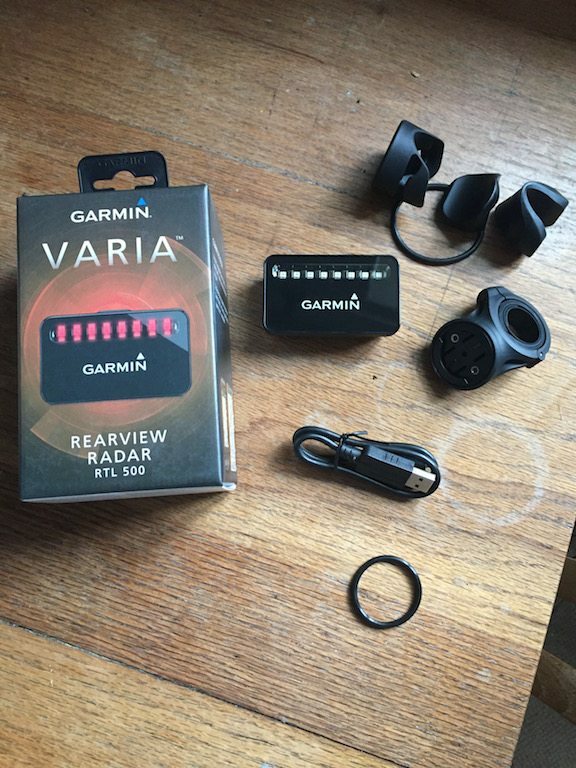 Using the Varia, I’m alerted to cars well before I would normally be aware of them, and that helps me to choose my line slightly better on the road. Now some people might just say that’s me being a nervous cyclist on the main road. Sure, fair point. 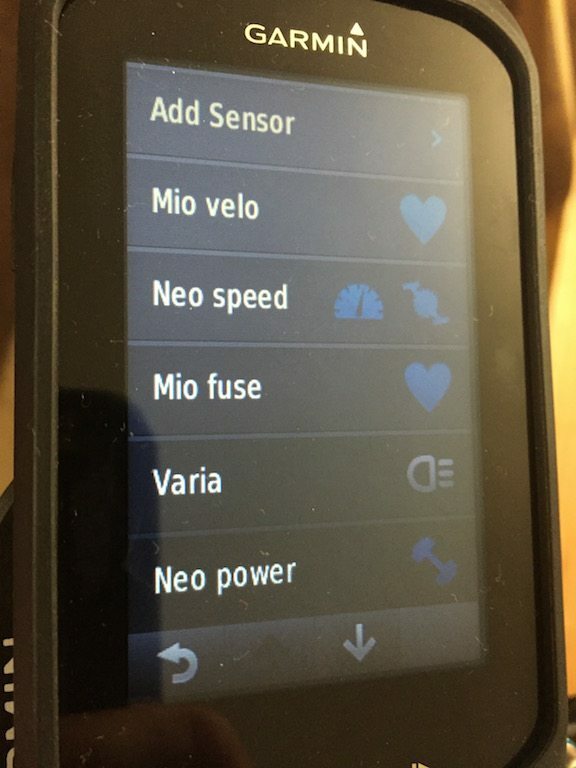 BUT using the Varia gives me more information, and helps me enjoy a good ride. Even when going for a blast on the quiet country lanes with a friend, itis good to know that the single car has passed and there is nothing else. Or conversely, there are still two other vehicles, and we need to keep close to the edge. 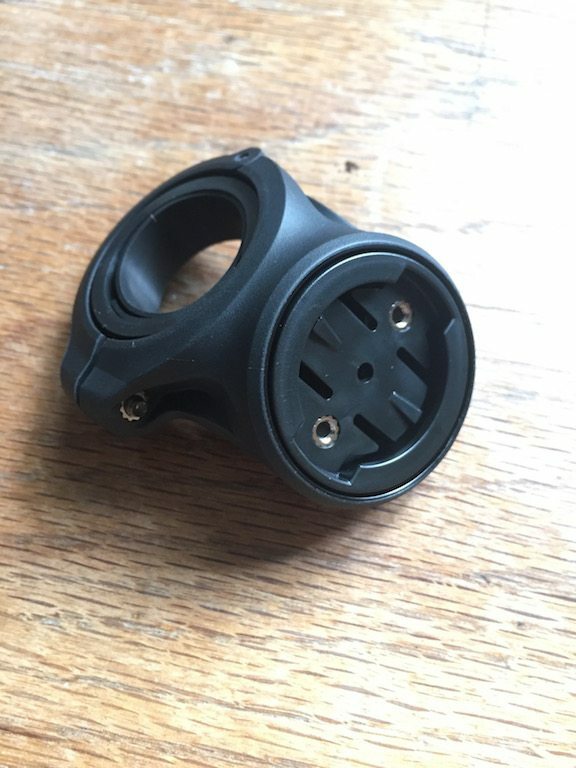 The Varia is a left field device, which frankly, I wasn’t impressed with when I first heard about it. 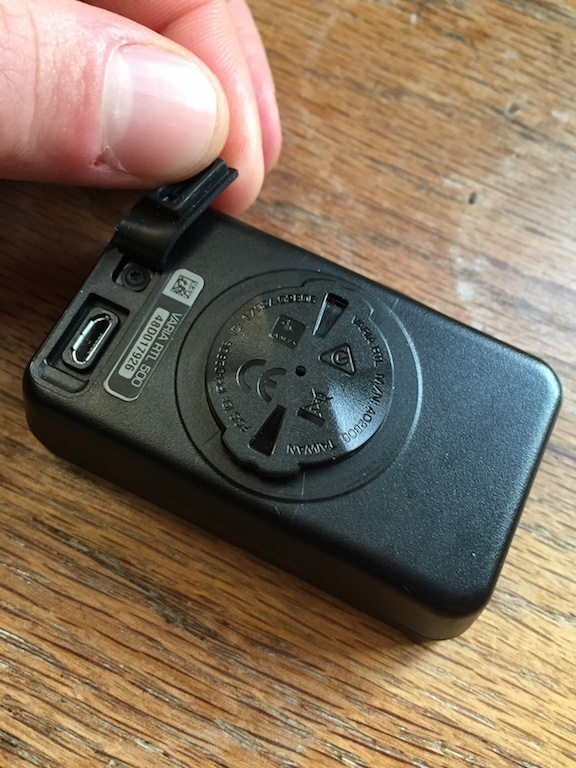 BUT the device integrates VERY well; it’s amazingly simple and very effective. 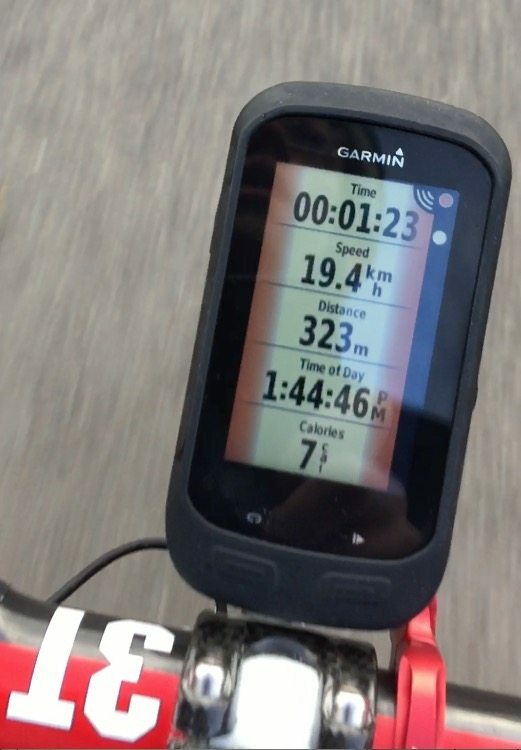 In either case, my Fly6 has now been joined by a Garmin Varia radar unit on all of my outside rides. 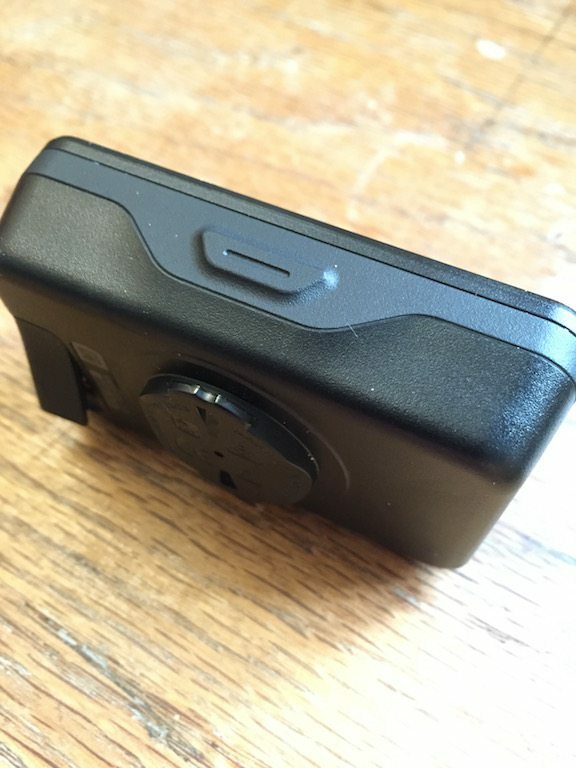 So not only would I recommend it, I bought one, but also it might be my gadget of the year!